Shifting from black to red. UK-based retailer END. 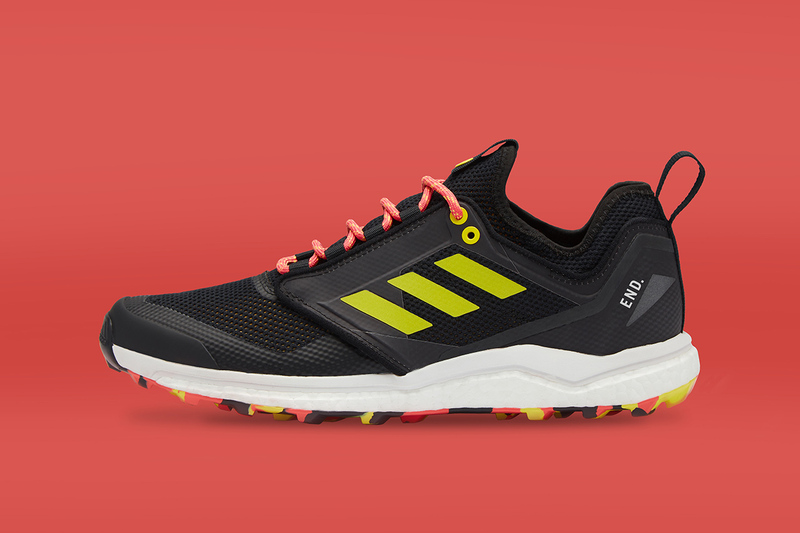 has collaborated with adidas Consortium for a new take on the trail running-inspired Terrex Agravic XT silhouette. The stand-out feature of the sneaker is its heat-reactive properties, with “Thermochromic” color-changing technology featuring on the silhouette’s upper. This technology means that the shoe’s color will move from a stealthy black to a fire-inspired shade of red when the wearer’s foot gets warmed up. As well as this color-changing design, the sneaker comes in a primarily black color palette, which is offset by pops of color including the laces, Three Stripe branding and the Continental outsole. Emphasizing its trail running credentials, the sneaker also comes with an EVA midsole for cushioning ad sock-like support, alongside the Continental Rubber outsole for added grip. You can enter a draw now for the END. x adidas Consortium Terrex Agravic XT, which is due to close on March 23. The sneaker is priced at $225 USD. In other adidas news, Raf Simons has new gradient Replicant Ozweegos. Adidas Consortiumadidas Terrex Agravic GTXEND. Including the super-expensive LaFerrari Aperta hypercar. The latest from the production heavyweights. Launching with an exclusive leather tote bag.